Learn how to earn a safe, fixed 8-10% return investing in real estate and never deal with tenants, toilets & trash. Less than impressed by the low rates of returns on your bank CD's? Want to avoid the high volatility of the stock market and the fees charged by your broker or fund manager? Start enjoying the benefits of real estate investment! This very predictable investment vehicle is an attractive alternative to the inconsistent stock market. 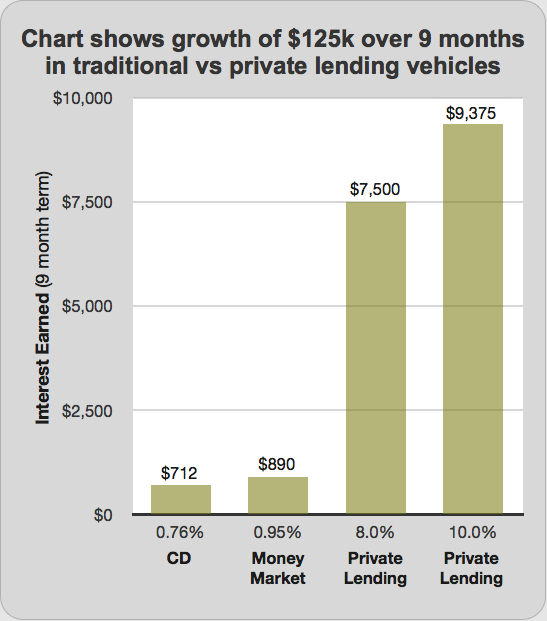 What types of funds can be used for a private money loan investment?